Hi Ladies: Welcome to Tea Cup Tuesday No. 143! The first tea of December and the beginning of the Christmas Holidays. 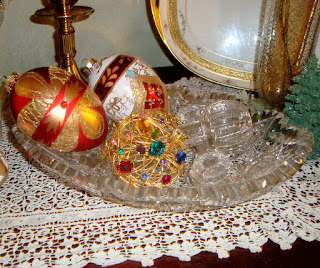 I have been busy getting my home ready to welcome Christmas, my family and guests. Next week I will have my Annual Christmas Tea. We are going to be blessed with a visit from a touring choir. I am so excited about all the festive occasions we will be celebrating. I am one of those people who just love getting together with family and friends. I never get enough! 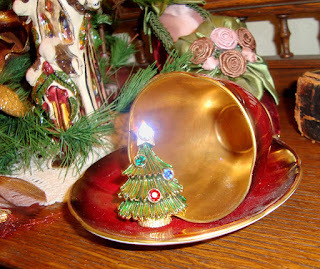 I will begin this week to give you a tour of the various Christmas Decorations around my home. This week I will start in the Entry. That great wreath was a re-do. I love buying simple wreaths and then making them my own. I love how it came out. For my first Christmas Tea Cup I am sharing a Mikasa, CHRISTMAS HOLLY, with a footed cup. I love this china, I use Mikasa as my every day dishes. They are always so beautiful. 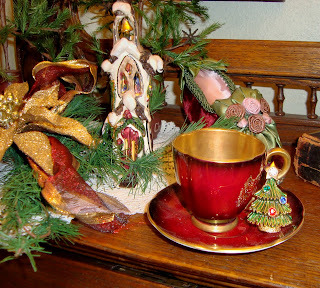 The second cup I am sharing is a Charltonware, Rouge Royale Teacup and Saucer with Gold, Burgundy and Brown Luster. It has a wonderful gold interior. I am especially fond of tea cups with all gold in side the cup. You feel so special drinking from it. Charltonware is a favorite of mine. 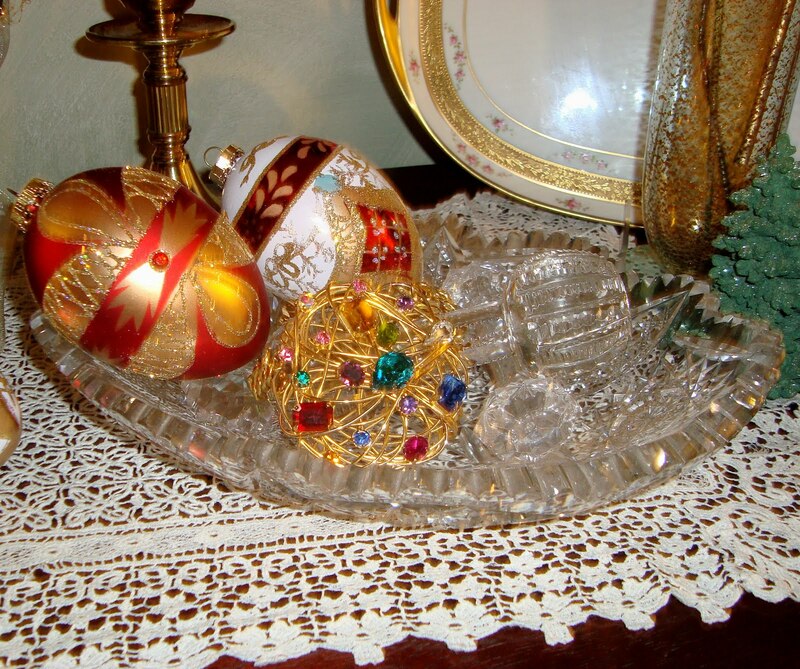 You only get two this week, because I am not done with all my decorating. I hope to have the table set for the Tea Party next week you so can take a peek. I have a Sophia up-date! 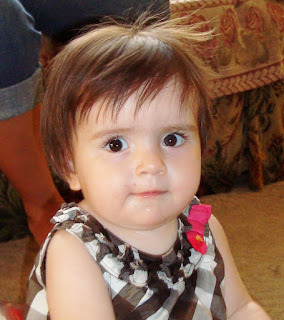 Do you remember I told you that my new granddaughter, Sophia, was not very user friendly? I think after a year and a couple of months, she finally loves her Grandma. She skipes me and tells her Mother, she wants to see her Grandma. I just had to share that, I worked long and hard for that. I watched her the other night and we had a perfect time together. She kissed me and hugged me, yes, Sophia, did all that. I wasn't dreaming. It was a Christmas Miracle! I had to share! Sophia loves me! Can it get any better than that? Here is Mr. Linky for this week. 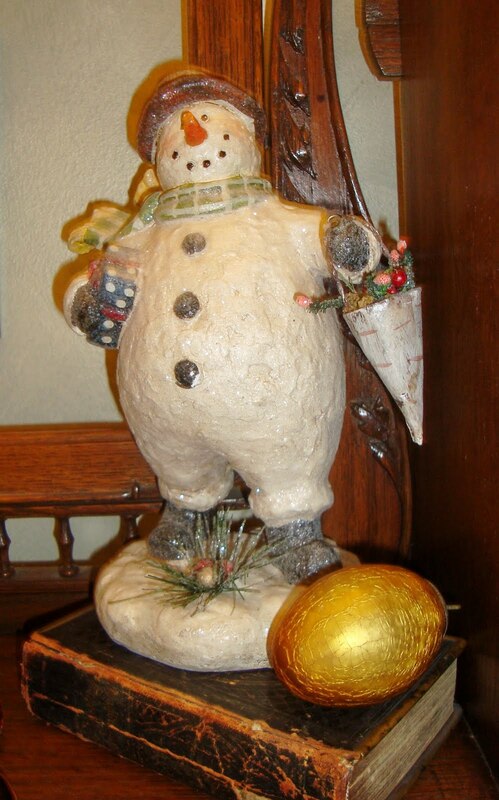 I know you are all filled with Holiday decoration plans. Please try and stop by for a visit at these wonderful ladies homes. Don't forget my dear friend Terri, she always enjoys your visits, as do I. Maybe there are only two, but they are beauties! Looking forward to seeing things when you are done. Your party sounds like such fun! I think that Sophia is so cute her cheeks are almost edible, I mean it, she is so spankin cute all I can do is GRIN looking at that adorable picture! I'm glad you won her heart. G'mas have lots of love to give!! Sophia is adorable. She looks like she could be full of mischief. A great fun spirit for you to enjoy. Thanks for sharing. You're right, Martha, Christmas is coming in large steps! Your re-done Christrmas wreath came out a real beauty and the holly pattern tea cup, together with the footed one are so suitable for the season! who wouldn't love you. I would be very exited to have a Grandma like you. Little Sophia ist just too little and will discover in a few months, why Noah is loving you. She will have such a fun with you in the coming years. 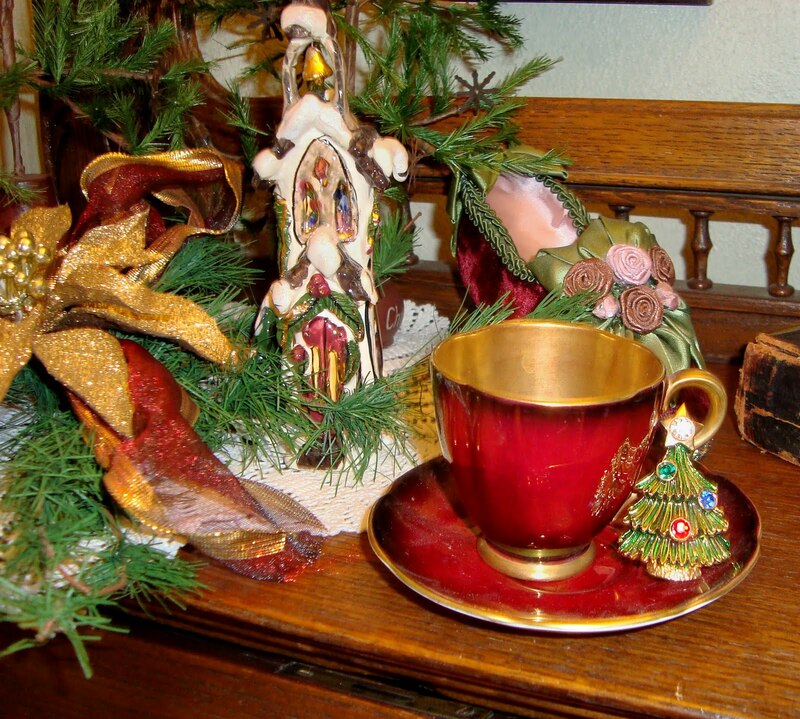 Your Christmas decoration and the chosen tea cups are very festive and beautiful. Thank you for sharing all those delightful moments and for hosting this sweet event. I wish you a wonderful Christmas time. I am so happy that Sophia and her grandma are bonding. I haven't actually met my little granddaughter yet but I will at Christmastime and I am so excited!! Your Christmas teacups are so pretty! Nothing better than red and gold for the hoildays! Merry Christmas! Your tea cups today are lovely! The first one I really love the Christmas theme. Those cups are gorgeous with all the gold. Very special! Such a sweet granddaughter! 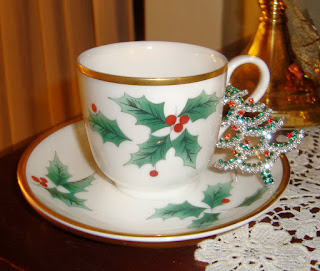 Beautiful teacups and I know you will have a wonderful Christmas tea! Sophia is so sweet! Love the golden cup too. Both cups and saucers are lovely Martha and what a cute little grandaughter! 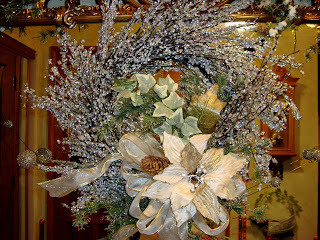 Also, the wreath is lovely as well! That is a wonderful wreath, Martha! I love wreaths. your little granddaughter is at an age now that her eyes would be a s big as saucers when she sees all the Christmas lights. Such a cute age! Thank you for linking to my HOME and enjoy your weekend. Thank you for praying for my son. Sophia is darling, arent you fortunate to have that kind of love in your life!